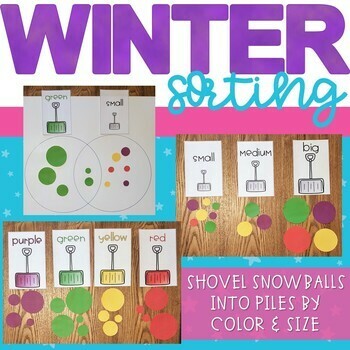 With this sorting activity, shoveling snow has never been so much fun! 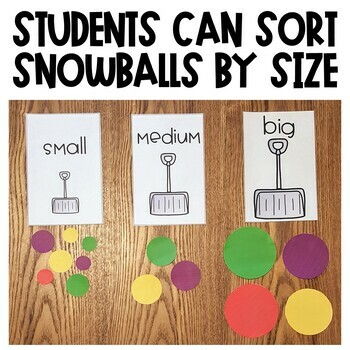 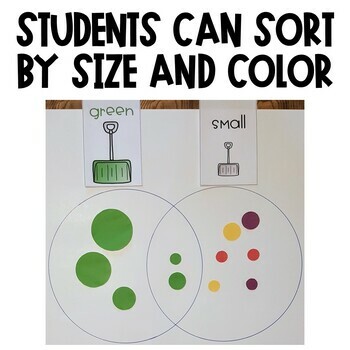 With this winter themed set, students can sort by size, color, create a venn diagram, or even decide on their own sorting rule. 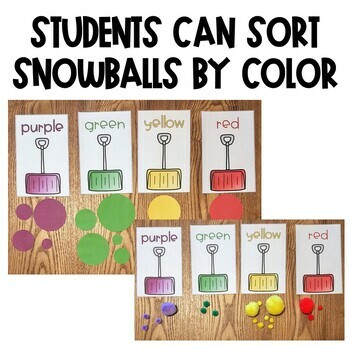 You can use the "snowballs" provided or just grab a hand full of pom poms, print off your shovel headers, and you have an activity perfect for whole group, small group, morning work, or centers!